Web design and web development are separate and distinct skills and it's hard to be really good at both. I take your visual designs and turn them into beautifully-coded, well-built websites. I’m here to support designers, supplying the technical knowledge and coding skills so you can focus on what you do best. 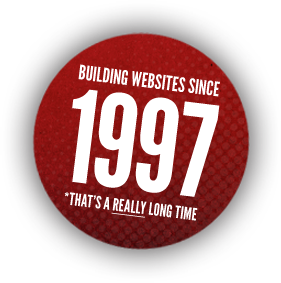 Together, we can build great websites for your clients. Amanda Maslany's designs are fantastic. Her attention to detail on every device makes building a site for Maslany Creative a true test of a developer's skills. This site has a lot of information and the administration interface is designed to properly manage all of it. This site truly felt like an iceberg: The part you can see is gorgeous and the part you can't is equally impressive. We partnered with BigMike Studios on this site. 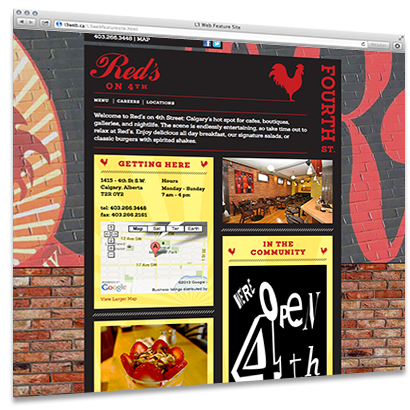 Red's site is about expandability: the responsive design adjusts for devices but also for additional future locations and menu items. The administration interface allows news posts and menu items to be shared between locations... or not. This site has a quite intricate design. 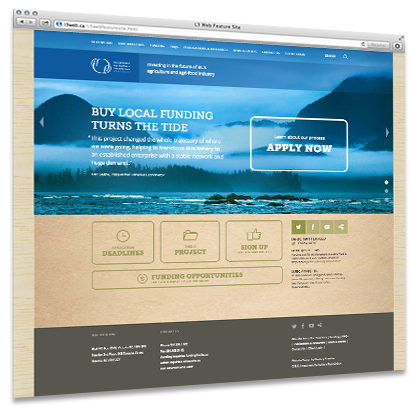 It was a challenge to build out the administration interface to support the design requirements. We think it went well! This site integrates with SalesForce.com through Gravity Forms and uses event tracking in google analytics to capture viewing data on the tabbed UI elements. It also uses the Gumby Framework. 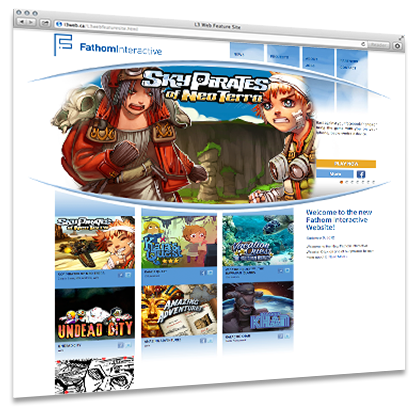 Fathom's site showcases their many online and device games with large original graphics and a unique design built as a custom Wordpress template. 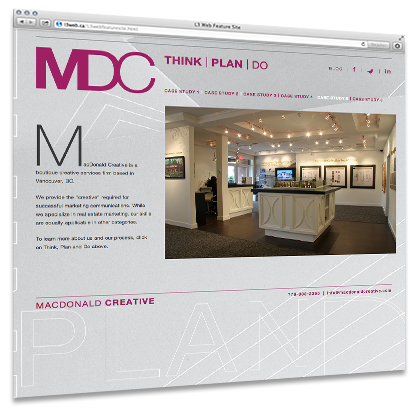 We used the Gumby framework, Wordpress and a little know how to make Michael's site responsive and retina optimized. 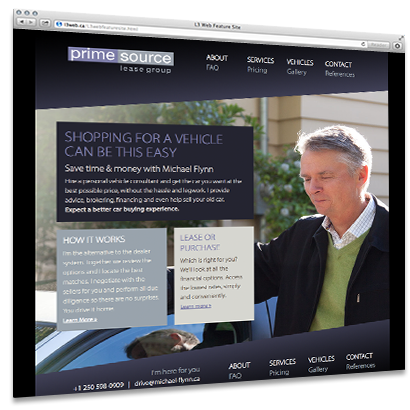 Michael's previous site used the CMS system I wrote in 2000. It still worked well but the usability was cringeworthy. This site has a custom gallery layout that lets the administrator reconfigure the image tiles through the Wordpress admin interface. 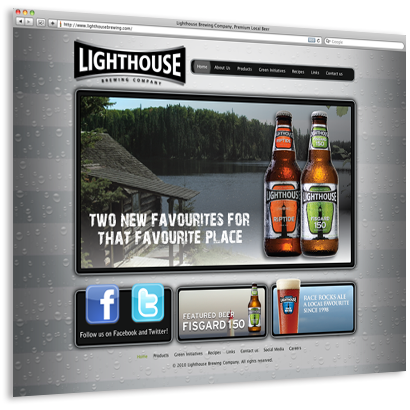 The responsive layout adapts from desktop to tablet or phone without losing functionality or brand elements. 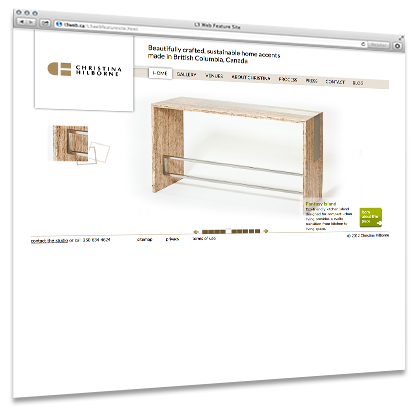 This site features an extensive project gallery that can be filtered by the project categories. 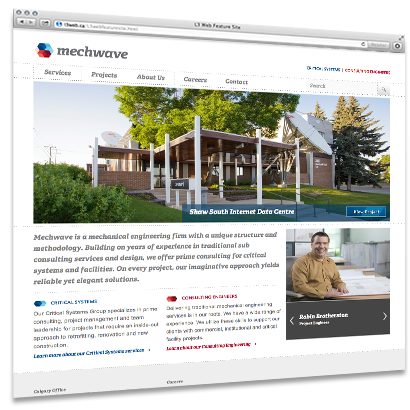 The Mechwave Engineering site also provides a complete "drill-down" browsing experience by displaying links to related content. 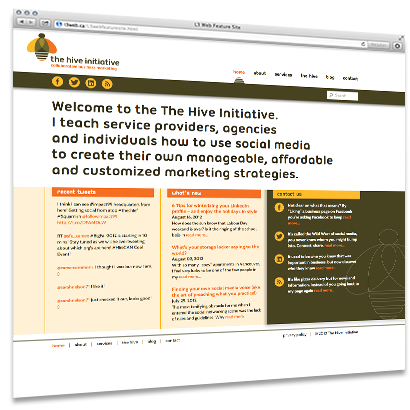 The Hive Initiative is the most blog-esque site we've done lately. 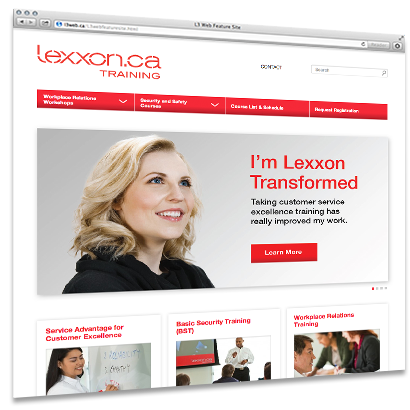 We integrate with Twitter using AJAX so the site loading is never held up waiting for an external service. 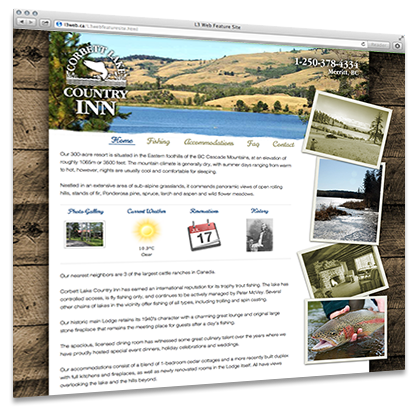 An attractive design, memorable branding and social media integration make this site difficult to forget. Using a highly customized Wordpress theme, this site's registration request system is a simple way to provide all of the information necessary to register for a course. 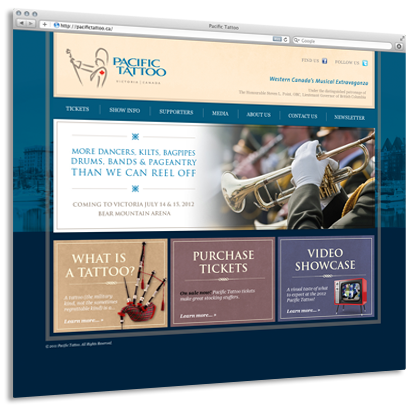 The Pacific Tattoo organization has introduced a new look for the August 2012 event, this included a new website and print collateral. The site is built on Wordpress and integrates with Dreamhost's Annoucement Lists for newsletter mailing list management. The Pacific Tattoo ran for 2 years. 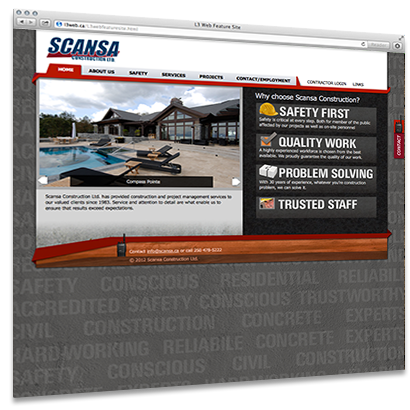 The Scansa site showcases a number of construction projects and a web based, secure documentation download area for contractors. Contractors are able to select a number of documents from a list and have the server compress them to a ZIP file that gets downloaded to their workstations. A showcase of the picturesque fishing destination in BC's interior. 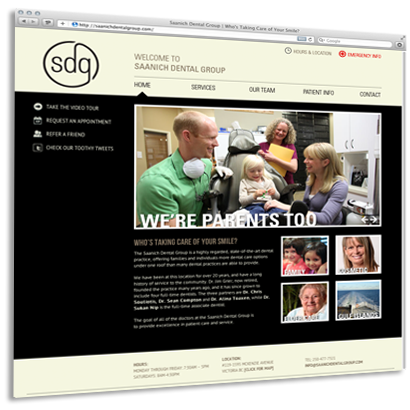 This site was developed using Wordpress to showcase SDG's new web marketing initiatives. New, focused page content provides the source material for social media and rendered video of procedures are perfect for communicating complex procedures to patients. Christina Hilborne's site showcases her stunning furniture creations. This site was developed using the Wordpress CMS with a custom jQuery side scrolling interface that allows swiping on iDevices. Oculus identified a number of usability examples from various existing software applications and hardware devices. We worked together to craft a unique usability experience that suits the client perfectly. This site integrates Lightspeed Point of Sale and Wordpress for product information, web viewing, custom rss feeds and e-newsletters. 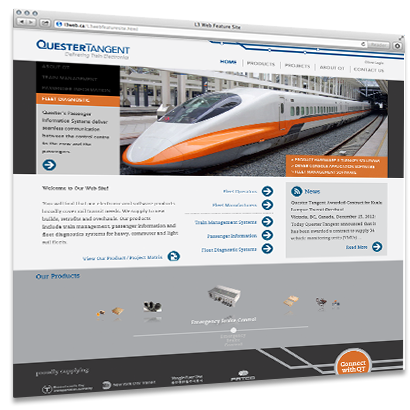 This site was developed using the Wordpress CMS and presented a number of complex CSS challenges. Using the initial Photoshop mockup as a base, I created a completely customized theme featuring multi-layered backgrounds and feature panels on the home page. The site includes the company's event calendar and Twitter stream. Developing sites for mobile devices requires a different approach than for desktop browsers; this site was designed specifically to be viewed on iPhone and iPad. 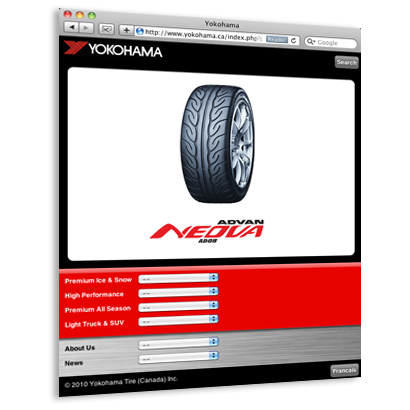 When a user visits the Yokohama website, a script detects the browser they are using and displays the appropriate site (desktop or mobile). 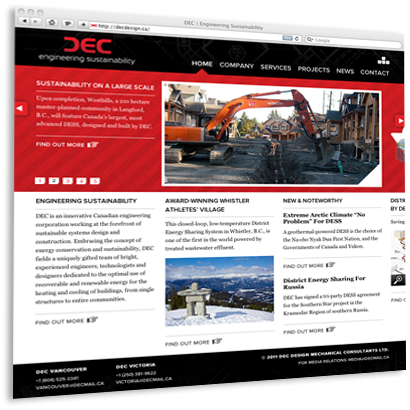 The mobile version of the site rearranges the navigation and eliminates unnecessary screen elements to make for an easier-to-use interface on a touchscreen device. 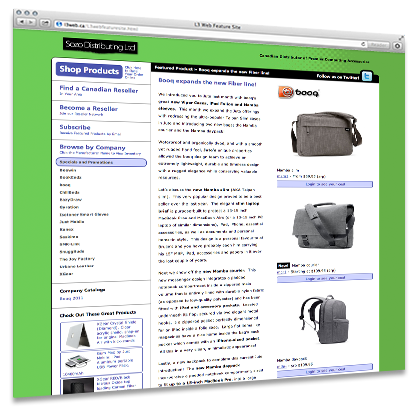 The site ties directly into Yokohama's data services for the recent data possible. A single-page website can be more complicated 'under the hood' than it looks. This website makes use of an advanced CSS framework for elegant type rendering, as well as tying into the Google font API to allow the use of non-standard fonts. Cross-browser CSS-handling issues made this a particularly good puzzle to solve. 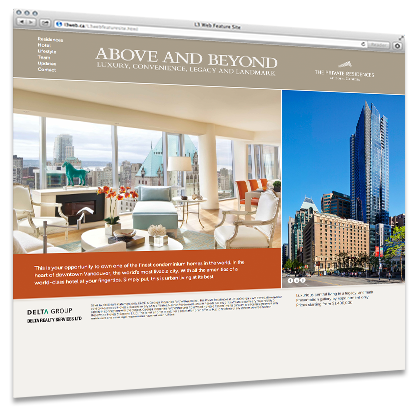 The site also uses jQuery for a simple and elegant hover effect.